I am going to LA next week to produce a TV commercial and decided to blog about some of the experiences…I am not even there yet and I am already thinking to visit one of its great landmarks. 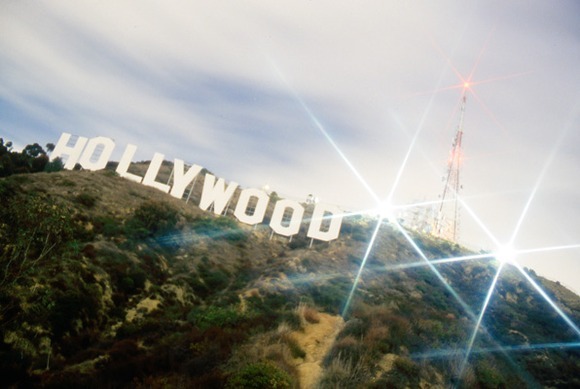 If there is one landmark that says “Hollywood” to the world – literally! – it is the famous Hollywood Sign, perched high atop Mount Lee, the tallest peak in L.A. Unfortunately, there is no easy way to reach the Sign itself, which is located atop an undeveloped hillside, far from roads. And if you did manage to reach the area, you would discover that the Sign has been fenced in to keep out the curious, and that a new high-tech alarm system has recently been installed. Boo. The best way to see the Hollywood Sign is to drive up Beachwood Drive. The Sign is clearly visible most the way up Beachwood, That is where my other “must” visit landmark is located…the Village Cafe or as the locals call it, the Beachwood Cafe. Fandango has debuted a mobile ticketing program where consumers can get movie tickets sent as bar codes to their mobile devices. The program is compatible with several mobile carriers and users do not need a smartphone to receive and redeem the mobile tickets. While currently available in eight markets, the program is rolling out to more than 100 screens in the Reading Cinemas circuit around the country, with more to come, according to the company. “Let’s face it, most moviegoers are attached at the hip to their wireless devices, and more and more film fans are accessing movie and showtime information and ticketing through their phones – so we want to help them get to the movies as conveniently as possible,” said Ted Hong, chief marketing officer of Fandango, Los Angeles. 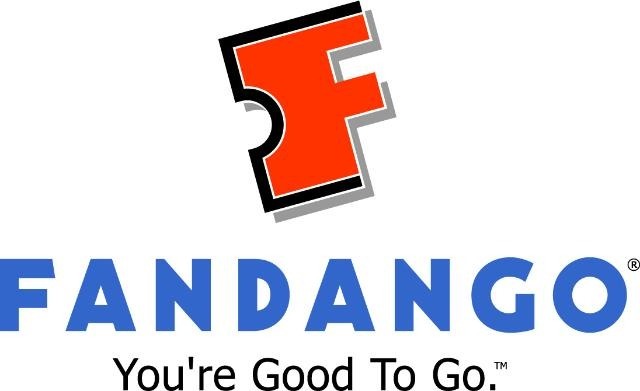 “While online is still the preferred way for moviegoers to find their showtimes and tickets, Fandango needs to be available on every device, wherever consumers are making their moviegoing decisions,” he said. Fandango lets consumers buy tickets in advance, as well as read reviews and commentary and watch trailers. This is not the Fandango’s first foray into mobile. The company has an iPhone and iPod touch application where consumers can get movie and theater listings, tap a movie poster to watch trailers and read fan ratings and reviews. 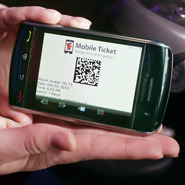 Consumers can buy the movie tickets via their mobile device and take their handset straight to the theater ticket-taker, who scans the phones’ bar code. According to the Fandango, this allows the customer to bypass the box office windows and kiosks. What did Bill Murray say at the end of “Lost in Translation”? It’s rare that you find a movie that sticks with you long after you’ve seen it for the first time. 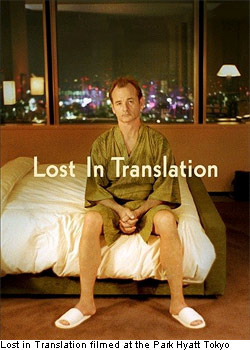 “Lost in Translation” was like that for me, for some reason. Maybe it stems from a time in my life where I was living and working in Tokyo and spent many days and nights at the very Park Hyatt this was filmed. Usually meeting with Western colleagues to de-cipher and untangle the day’s events and interchanges with my Japanese colleagues. It had great appeal to me, despite the nature of being very much on my own there. I could relate to Murray’s character and the Japanese scenarios were almost too realistic making me cringe at points. 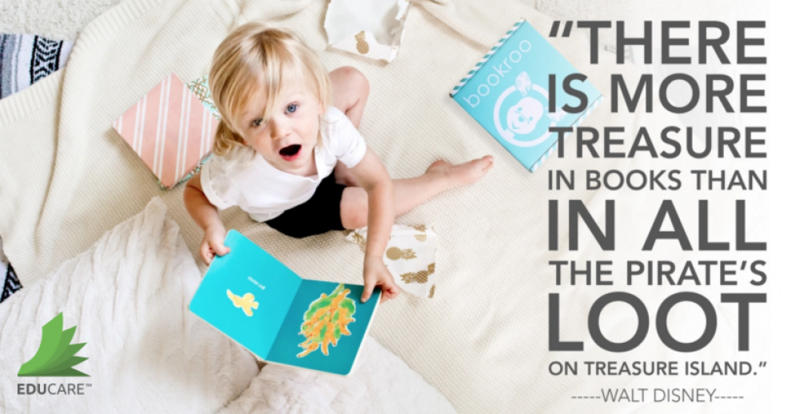 Perhaps that’s why “Lost in Translation” had the impact it did. Bill Murray, who plays Bob Harris, is in a strange country and cannot sleep, and he meets Charlotte, played wonderfully by Scarlett Johansson, who is also in the same situation, but almost totally alone as her new husband has other things to do. They connect with each other out of their need to be with something familiar. Being in Japan with no English spoken, these two naturally relate and spend a lot of time together over the next few days, trying to hold onto this amazing thing they’ve found amidst their loneliness. The movie did a superb job of bringing the audience into the emotions going on inside these two. You actually can almost feel what they are going through and how they long to just “be “ with each other. And that brings us to the end of the movie. Bob has to leave, the filming is done on his TV commercial, and it’s time to go home and that means leaving Charlotte behind. But that’s the end really, they had no future, they were both married and their time was up. You felt their pain in ending the short relationship, but what other choice was there? So Bob gets into his limo and is taken away, while Charlotte heads out onto the streets, back to wandering aimlessly like she did before, alone and out of place in this strange country. But Bob stops, goes back and finds her walking. They look at each other for a moment, and then they just hold each other. He whispers something to her, which makes her cry, makes her smile. They kiss, and she continues walking down the sidewalk, tears flowing, but a new look of happiness on her face. Bob gets into the limo and is gone. I loved the movie, and I loved the final song in it so much that I now own the “Jesus and Mary Chain” album Psychocandy that it came from. So the big mystery for all that saw it was this: What did he say to her? Some wise words of comfort from an older man that allowed her to move on? That he’d see her again? That he loved her? Well, we now know. Someone took the scene and digitally enhanced the sentence that Bill Murray whispers to Charlotte and posted the video on YouTube. Sorry the link is no longer on YouTube. It was hard to hear, but I think they got it right. Now, not everyone wants to know. The way it ended was perfect in my opinion, leaving it up to us to decide what he said to her. It was fitting and obviously kept people thinking about it afterwards. So if you don’t want to know, don’t watch the video or read on after this point. But if you do, check it out below. This exchange seems totally fitting to me. But the real meaning behind it will always remain a mystery. Did that mean he was coming back to her? Or was he just leaving her with hope. That in having this hope, she wouldn’t be completely miserable and lonely. Her gasp at the end was like a breath of relief escaping her, so the words he said were the right ones. I don’t know what it means. I don’t think we ever will. They are both married, so the real guy inside me wants to think that they just return to their lives, but another part of me hopes they end up together. What do you think? Does it make a difference knowing what he said? Am I the only one who really enjoyed this film? This week Facebook is trying out a new ad format that attempts to bring social networking to video placements. 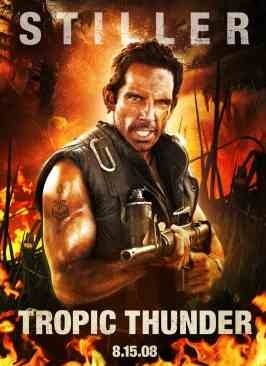 New placements began appearing on the site touting the DreamWorks movie Tropic Thunder. The ads, running on the right side of the page, feature a click-to-play trailer. When users watch the video, they are then presented with a commenting option, similar to those that appear within the site’s News Feed. I love to comment especially about films so I hope the film companies can take the heat. Comments are featured from others in a user’s network. In this way, a user can see what his or her friends think about a movie or product. 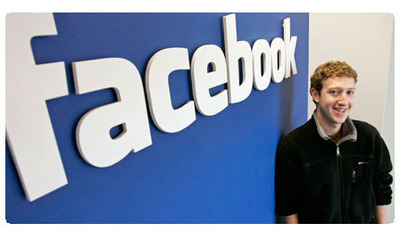 A Facebook spokesman said the ads are a test of new formats the site is undertaking following a redesign this month. Facebook has struggled to craft an ad system that fits its environment, where users often come to exchange information with friends. Banner ads on the site are known to get very low click-through rates, and they often compete with many other items on the page for attention. The site is not the first to experiment with ad comments. Weblogs tried a system called Focus Ads in 2005 that would display user comments on ad messages. Facebook’s first attempt at crafting a unique ad system mostly fell flat. Its Beacon program, which beamed certain user activities from advertiser sites, was scaled back due to privacy complaints. The site still runs Social Ads that features endorsements of a user’s network. The new ad test follows a site redesign that changed ad placements from the left side of the page to the right column. The shift was part of a much larger site redesign that the company says will improve the user experience by making the venue less cluttered and emphasizing feeds from a user’s friend activities. 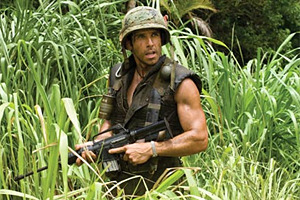 A new movie with Ben Stiller Jack Black and Robert Downey Jr. is due to be released soon…we will meet with Paramount this week to hear the plans for the Japan launch…Activate has technology for using 3G phones to interact with the screens in the theater to play a “flash” game…details soon.